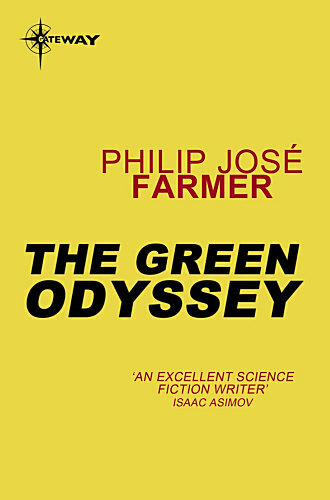 Philip José Farmer's first book publication. 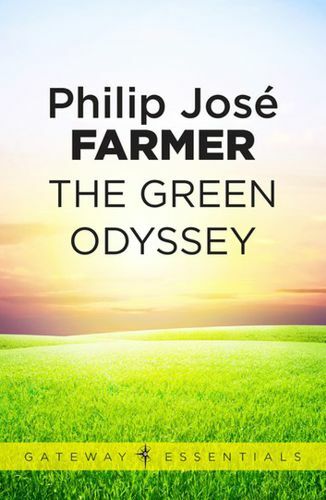 Farmer planned to write a sequel, The Greeniad. Also published as Audio Book (2006, and 2015). Alan Green is not exactly a hero. In fact, he likes peace and quiet just as well as the next man. Not that he is really afraid of that crazy, hot-blooded hound dog Alzo, or even of the hound's equally hot-blooded owner, the beautiful Duchess Zuni. After all, on this backward, violent planet a man can manage nicely, providing he is alert twenty-four hours a day. The trouble with Alan is that he's tired - and homesick. So when he hears of two other downed spacemen from Earth, he hitches a ride with a greedy merchant-captain on a windroller destined to carry him to their spaceship. What he isn't prepared for are the vagaries of the windroller, pirates, the "traveling islands" that devour everything in their path, and the flora and fauna peculiar to this planet. 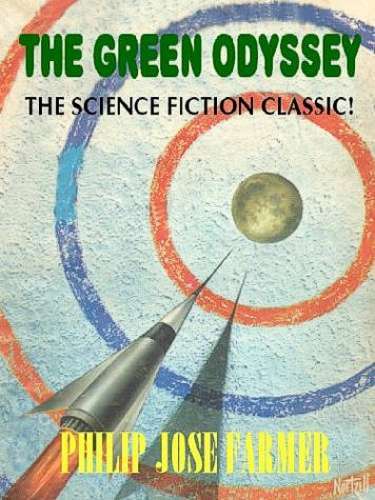 In order to make it to the spaceship alive, it seems that Alan Green may have to be a hero after all. First hardcover. Both Ballantine editions were published simultaneously. Grey cloth boards, with green lettering on the spine. No statement of edition on the copyright page. Most of the small print-run of the hardcover went to (military) libraries. The cover art is not by Richard Powers! Both Ballantine editions were published simultaneously. Red cloth boards, with gilt lettering on the spine. A photographic reprint —including the copyright page— of the 1957 Ballantine paperback edition. Russell Letson wrote an introduction for this edition. Green paper boards, pink cloth spine with green gilt lettering on the spine. With date code 'HB 6 V' on page 152. Small and extremely limited paperback edition, from a small publisher. It has a brown paper cover with a black-white illustration and a color dustjacket. With doodles by Knees Calhoon. You can call this book a kind of a 'testcase' for the later definitive edition of 2004, see the next entry. Small limited paperback edition, from a small publisher. The paper cover has the same color illustration as the dustjacket. With an introduction by Roger Crombie and illustrated by Gavin L. O'Keefe. No copyright information in the book, and neither a date of publication. It looks like a text book. Download for free at Manybooks. A complete photographic reprint, including the title page and the copyright page, of the 1966 Ballantine paperback (second printing). A Print-on-Demand publication. Newly designed and typeset for easy reading. Pictorial boards. A complete photographic reprint, including the title page and the copyright page, of the 1966 Ballantine paperback (second printing). A Print-on-Demand publication. 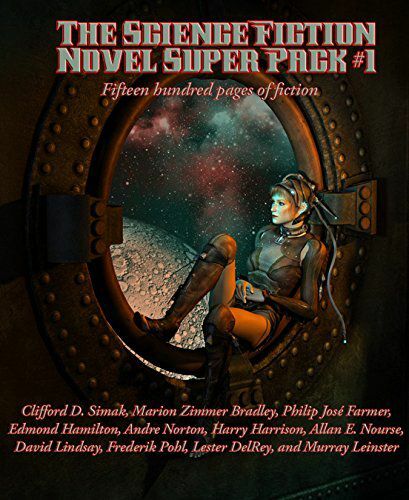 Ebook omnibus with six novels (one by Farmer), two novellas, a novelette and a short story. 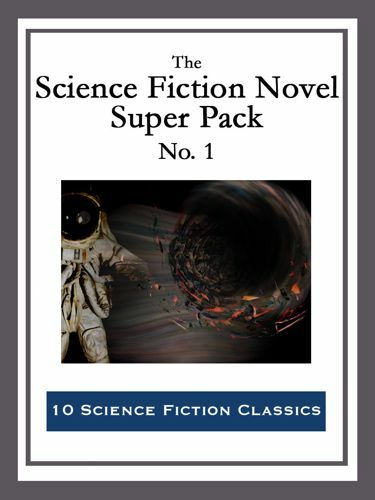 Ebook omnibus with six novels (one by Farmer), two novellas, a novelette and a short story. The book gives a publication date of 07/2015, Amazon gives 03/2016. Subtitle: Chroniken aus Raum und Zeit Band 4. Omnibus, together with novels by Chad Oliver and John Brunner. Pictorial boards. PJF's novel is illustrated by Hans-Günter Hauptmann. Omnibus, together with a novel, The Thing, by Alan Dean Foster. Silver lettering on the cover and the spine. Omnibus, together with The Stone God Awakens and Lord Tyger. This book was originally published without a dustjacket. Copies that were sold later got the, somewhat too small, dustjacket of the second edition, priced at L 4.000, with the cover illustration by Allison. With a sixteen pages long introduction by Ugo Malaguti. This edition falsely gives the printing date of the first edition as 05/1970. With an introduction by Riccardo Valla and a selected bibliography. With an essay by Ito Norio. With illustrations by Iwabuchi Keizo. The lettering on the spines of the two Dutch printings differ: the first printing has the author's name in red and the title in blue, these colors are exchanged on the second printing which also has smaller letters. No indication in the book about a second printing. Pictorial boards. Illustrated by M. Raev. Omnibus, together with Inside Outside and Flesh, and two stories: "Open to Me, My Sister" and "Riders of the Purple Wage". Omnibus, together with Dayworld Breakup, Night of Light and The Gate of Time. Joined publication of two publishers (Troll and Yuventa). Pictorial boards. Omnibus, together with The Long Warpath and The Wind Whales of Ishmael.